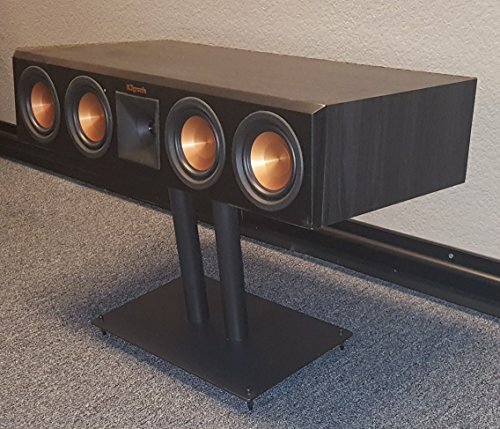 The Vega AV Center Channel Stand can Fits Klipsch RP450C, RP440C and RP250C as well as the wireless RP440CW. With all steel construction and hollow tubes that can be filled with sand or shot and a 6% upward tilt. The base is 15.5" wide 9.5" deep and the speaker pedestal is 5.5" deep and 9" wide and 13" tall. If you have any questions about this product by Vega, contact us by completing and submitting the form below. If you are looking for a specif part number, please include it with your message.